American Eagle Outfitters, founded in 1977, reported last year that its digital consumers spent twice as much as single-channel shoppers. In response, the brand dedicated resources to creating a seamless brand experience to target customers on every platform. Shoppers can begin on mobile, with an integrated customizable playlist that personalizes the digital shopping experience. The #AEOStyle hashtag encourages Gen Z consumers to upload photos on social, like Instagram, where shoppers can view an item, check its in-store availability (in more than 1,000 locations) and then use the “reserve, try and buy” program to hold up to five items until the next day. American Eagle’s Q4 revenue marked the brand’s strongest sales performance since 2015, rising 12% year-over-year to a whopping $1.23 billion. 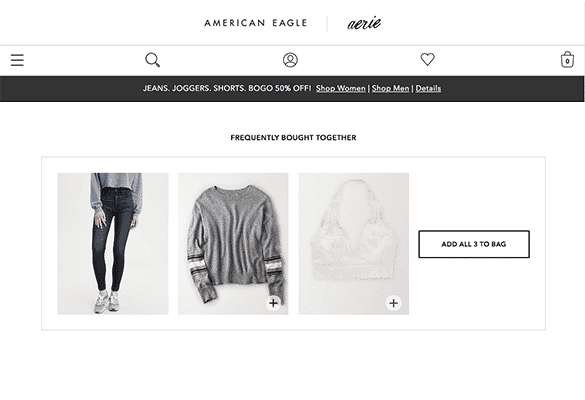 The brand reported that digital sales rose to just below 34% of total revenue, an increase from last year’s report, thanks to American Eagle’s robust personalization strategy. 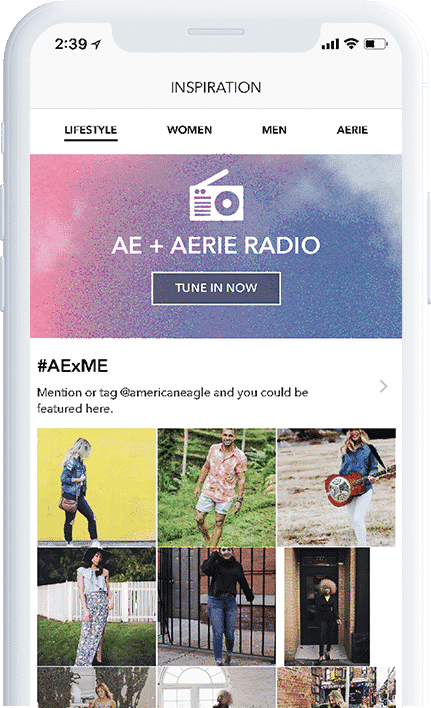 American Eagle’s “Inspiration” content strikes the right balance of content and commerce with collages of customer-inspired looks and syncs with Aerie Radio stations to mimic an in-store browsing experience. 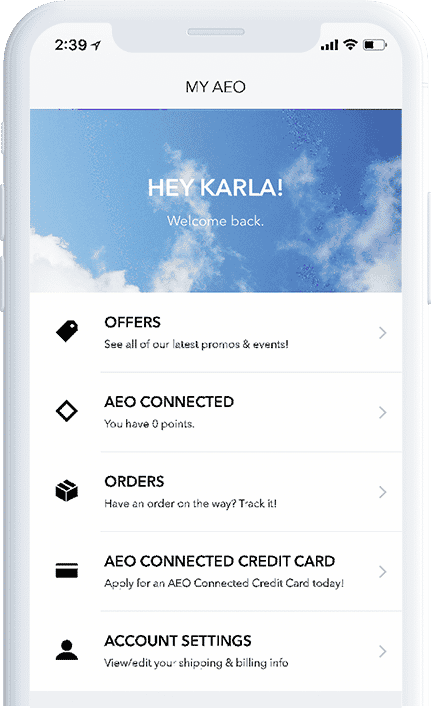 AEO’s well-integrated mobile app is an endless resource of inspiring content, product suggestions and customized offers. Customers keep their purchase history, favorite items and AEO points organized in the app and locate their local store to find the items they love online. AEO makes intelligent product selections that increase in relevance as a shopper continues to engage with the brand, browse, and shop. The product recommendations bridge different categories of clothing, offering enough suggestions to complete any outfit.